FreedomWorks may be coming, Uber may not, and Stieren and Pruitt a couple no more. It’s Friday in the Sun!!!! Friday night was an interesting exercise in what my old political science professors would call “interest articulation.” That’s fancy academic talk for how those in a society tell their leaders what they want to see happen. Since this is the first day back at work for many of you, I thought we’d kick off 2017 with some New Year’s resolutions we imagine some elected officials, institutions, and politicos might — or should — have considered. A section of Anchorage Municipal Code that only a few months ago neither you, nor I, nor many Assembly members, nor (according to some) the Berkowitz administration even knew existed, may end up being the defining issue on the Anchorage ballot come April 4. What does former U.S. 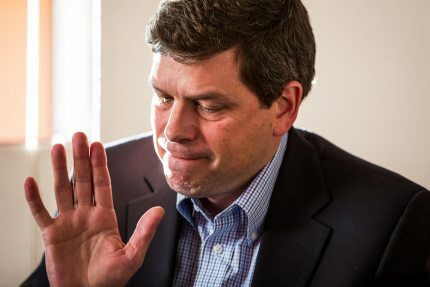 Senator Mark Begich think of Gov. Walker’s budget, the job Ethan Berkowitz is doing as Mayor, and how progressives can combat the incoming Trump administration? Oh, and what will Begich be running for next? Check out all that and much more on this week’s installment of The Midnight Sun Podcast.